Mark Your Calendars: 2017 Levitt Summer Series dates and more! 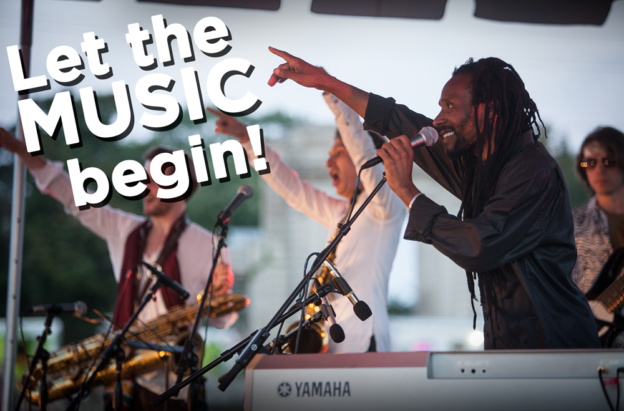 Check out the official dates for Levitt venues and Levitt AMP Music Series this summer! Across the country, free concerts will activate public spaces through the power of music and community building. Audiences will be thrilled by the exciting range of artists spanning a wide range of genres and styles! Scroll down to check out Levitt concert series dates in your community. Each permanent outdoor Levitt music venue presents 50 free concerts every year and is managed, programmed and supported by a Friends of Levitt nonprofit partner, with Levitt Los Angeles run by the Foundation. The Levitt AMP Music Series will take place in 15 small to mid-sized towns and cities at pop-up sites in public spaces, each presenting 10 free concerts throughout the summer or fall. This entry was posted in Concerts on May 3, 2017 by Rounak Maiti. Hello. Immensely enjoyed 2 summers of concerts in Frederick, Md. Thank you so much ! Hopefully they can come back to Frederick, but I understand that everyone needs the benefit of live music.